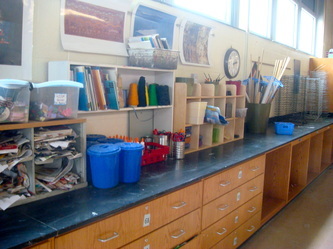 Supplies are laid out in a self-serve manner. 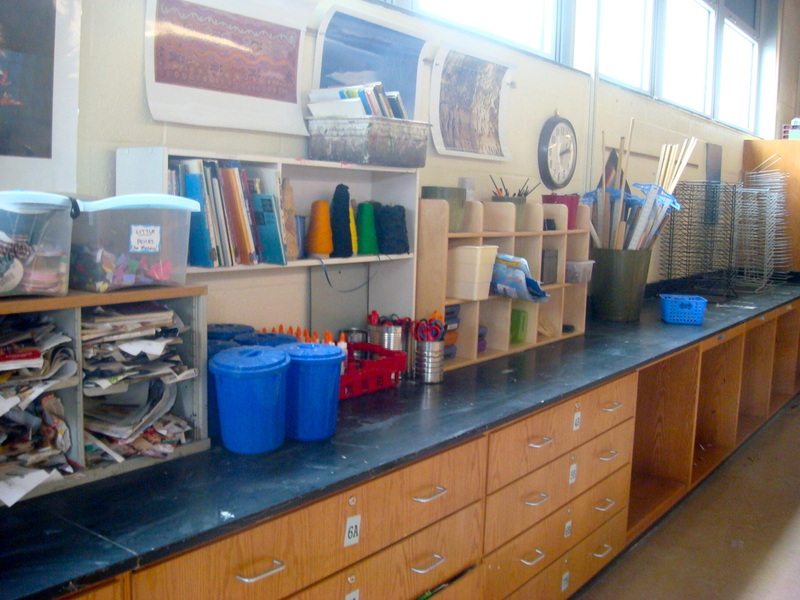 Students know exactly where their papers are stored, where supplies are kept, and how to clean up and keep themselves organized. Students are given a lot of responsibility and usually rise to the occasion and appreciate the extra freedom. Displays and inspiration are everywhere. Libraries are open to students whenever they need a break or an idea, and aesthetic objects are arranged around the room to help perpetuate a constant conversation about what art could be. 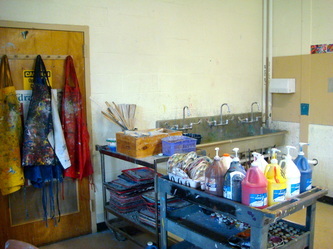 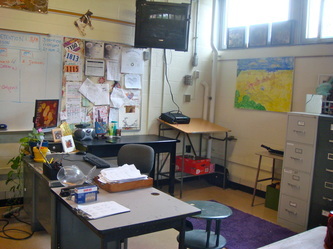 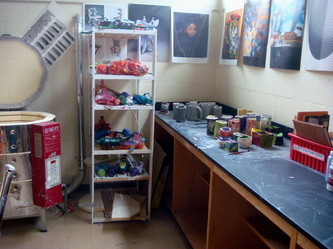 Furthermore, I keep a small corner of the room available for my own personal work, so that students can see art in practical application on a daily basis. 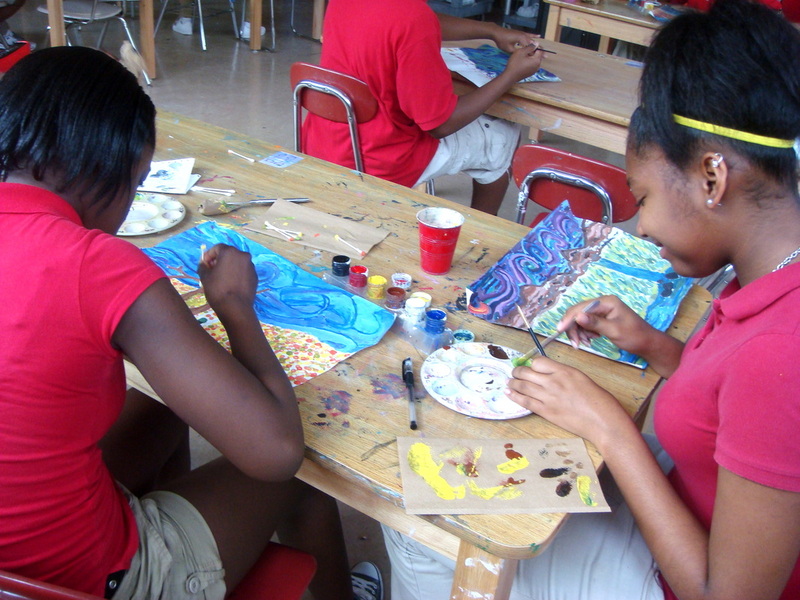 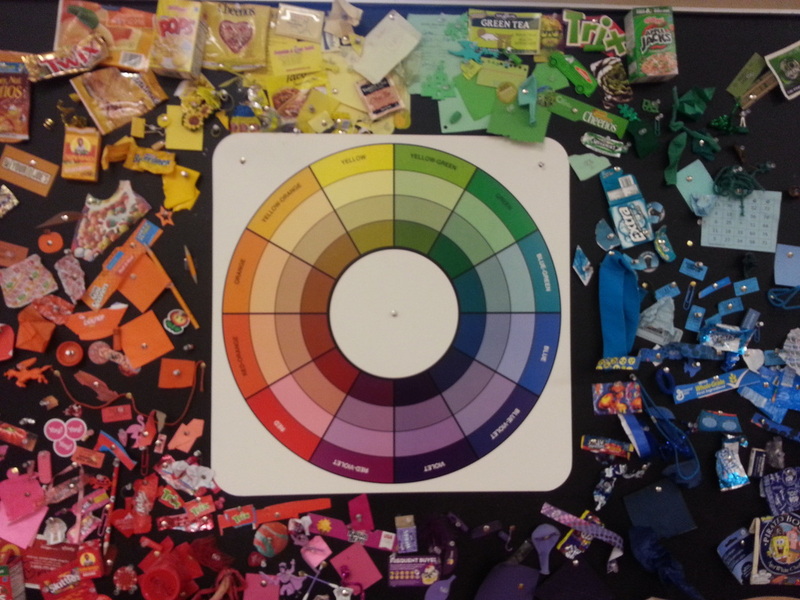 In addition, IB learner traits label each table, connected with a contemporary artist who embodies each trait. 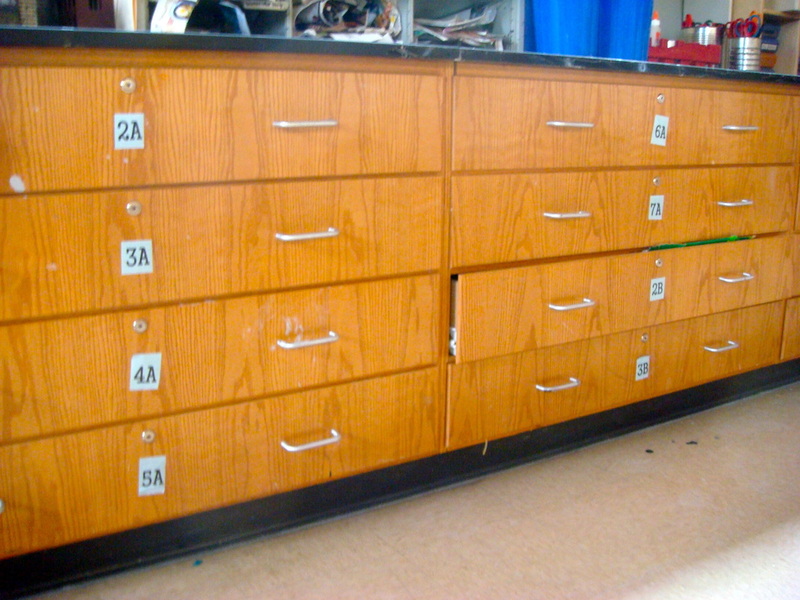 I am very organized, because I want my students to understand exactly what is expected of them. I hold high expectations of student behavior, and make that clear by the often-referenced rules and procedures at the front of the room. 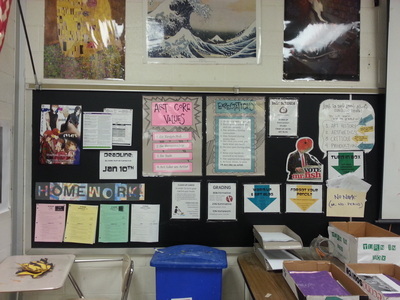 Homework, state curriculum, and objectives are also posted. 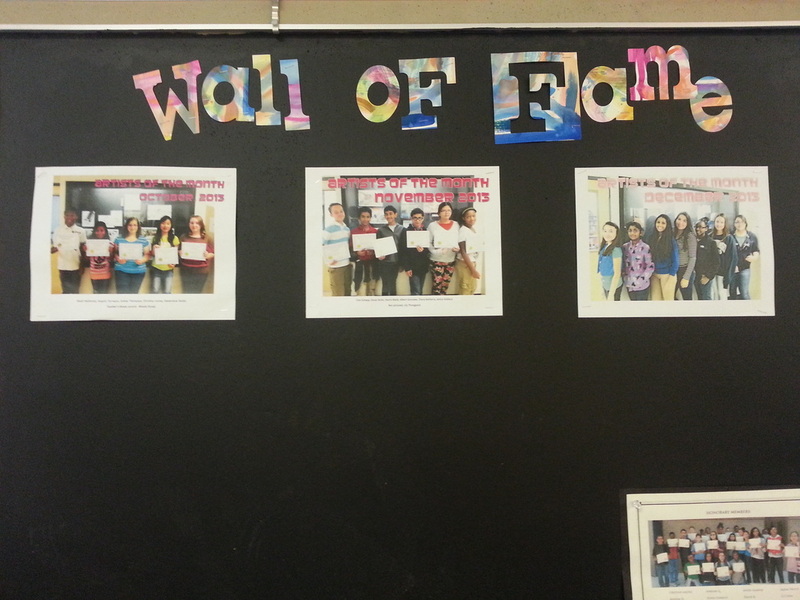 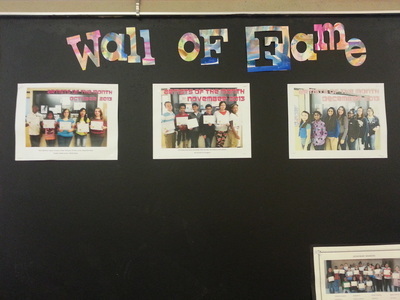 High expectations are continued to be reinforced by the "Wall of Fame", which posts updated photos of the exceptional Artists of the Month. 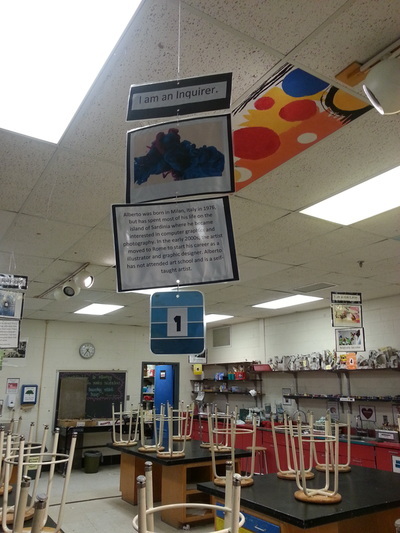 I incorporate the IB character traits as much as possible, helping students to make connections between being a risk taker and an artist, a communicator and an artist, etc.